Back-to-school is just a few short days away and being organized is key for moms to stay sane during this hectic time of year (who am I fooling it is always hectic around here). Everyone knows having a place for everything and everything having its place, is the key to an organized home… or having children and husbands that pick up after themselves, but who am I to make the rules?! With Brother PT-D600 Label Maker it is easy to get your house and family ready for back to school season. P-Touch has been around for ages so I’m sure it needs no introduction; but who knew it printed such cute labels? This labeler isn’t your Grandmas turn-dial gun labeler (although I always wished I had one of those), this mean printing machine has so many features you won’t be hiding the labels in inconspicuous places anymore! With the 14 fonts, 11 styles, 99 frames, over 600 symbols, 8 font sizes, and multiple types and colors of tapes, there are so many combinations the kiddos will be convinced you’ve got them personalized school supplies, rather than have them believe you know they are bound to misplace their jacket, hat, gloves, lunch box, the list goes on. 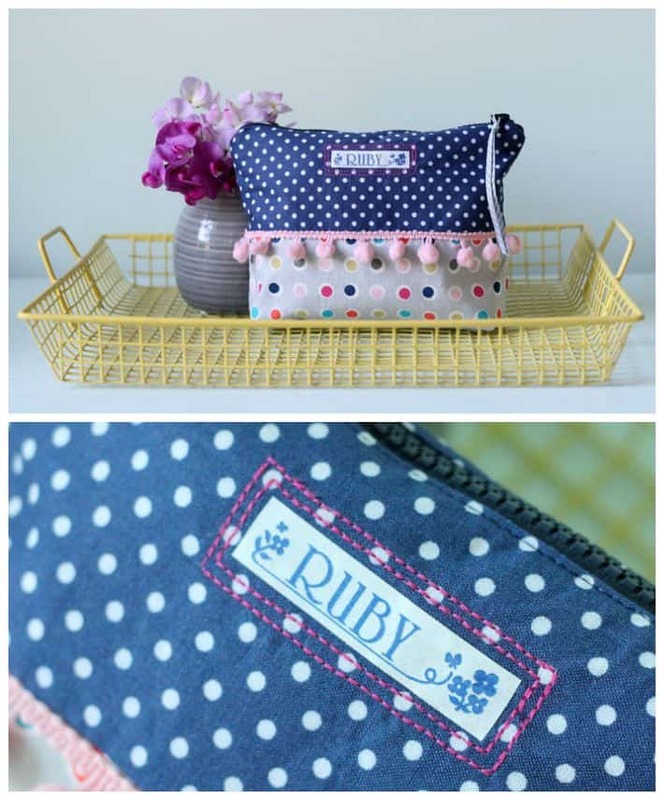 To personalize Ruby’s pencil case I printed a label on fabric iron on tape, and applied it directly to the outside. Isn’t the little floral border the cutest?! I can see myself making countless personalized gifts with this too. The Brother PT- D600 is super user friendly, having never used one before I was able to unpack it, and be printing labels in seconds! With the full-colour graphic display it has easy access to menus and the ability to preview the actual label before printing. Just type, add any cute emoticons or borders and print. The kiddos will have stylin’ personalized school supplies in no time! Add labels to binders, pens and pencils, notebooks, text books, clothing, backpacks, lunch boxes and more. 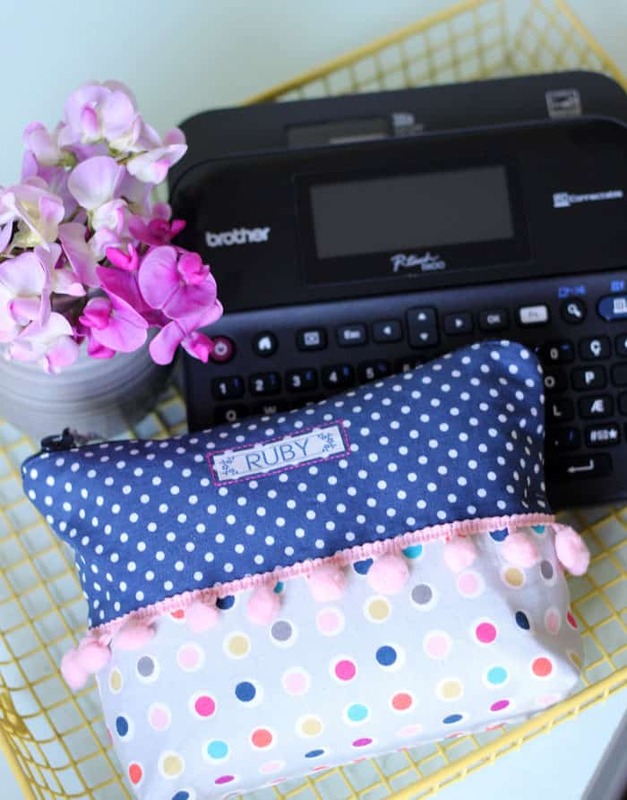 The P-Touch labeler is so easy to use I bet the kids would have fun helping you ‘personalize’ (wink, wink) their belongings too. Disclaimer: This post was sponsored by Brother Canada. The ideas, projects, and opinions are 100% honestly and my own. That’s a super cute pencil case! And the label is cute, too! Love this idea so much! Very cost effective, too! Definitely pinning for when my kids need labels on their clothes!! Wow this is cool and I had no idea it these would print fun iron on labels. I am quite amazed by this and I think I will have to look into this. It is fun to personalize gifts and such. Thanks for sharing at #HomeMattersParty I learned something new. Yay! I had one of those dial a letter labelers as a kid, and they didn’t stick to anything! They sure have come a long way. 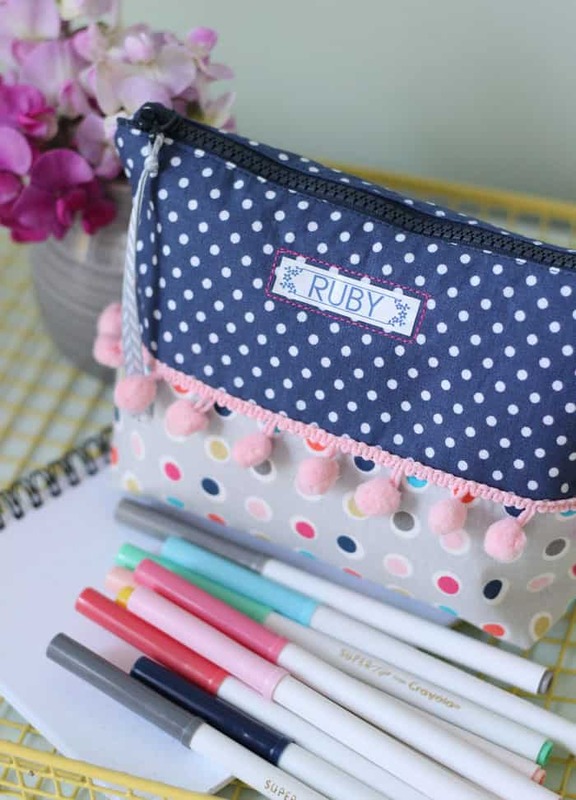 I love these super cute pencil case! What a great tool for organizing back to school. I have this label maker and I am so impressed with what it can do. 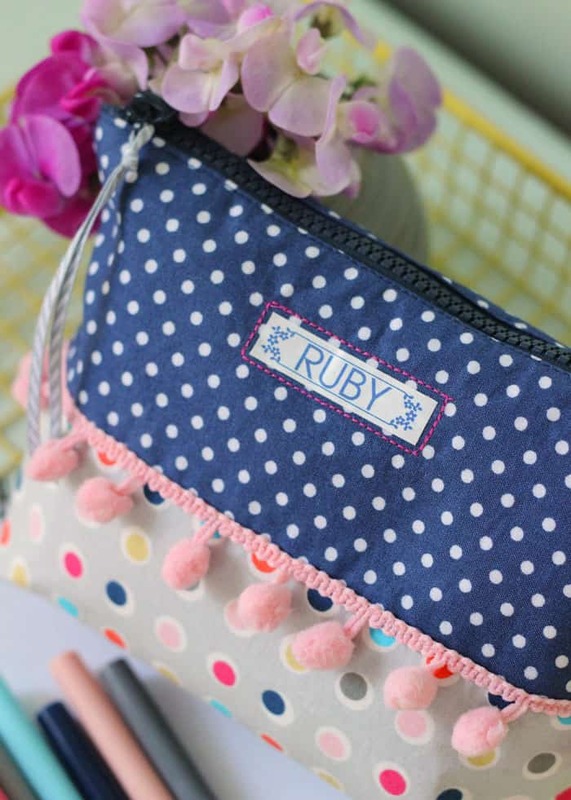 Great idea to make a label for a pencil case! Looks fabulous!